Hello! My name is Christa Funkhouser, and I reside in Gulfport, MS. I'm a Mom, and proud military wife. I’ve always loved all mediums of art, I paint, draw, and love photography. I was shown how to make 3D flowers with punches, and thought, I could do that. I went home and came up with some designs, and never looked back. Prior to purchasing a Silver Bullet, I was utilizing smaller flower punches and a Cricut. 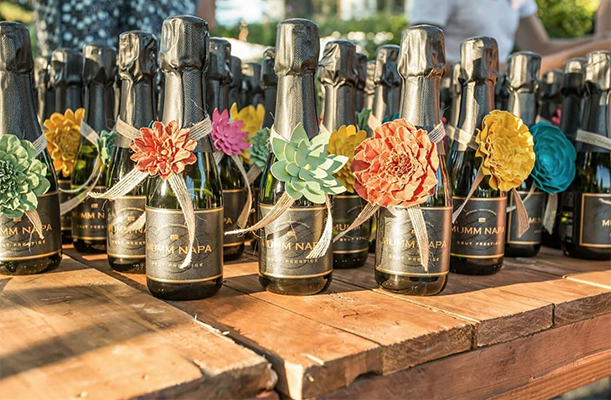 For my larger flower designs, I was hand cutting them and now I’m able to complete larger orders in a shorter time frame and have doubled my business. When hand-cutting huge orders I would end up hurting my back and shoulders. There were times that I would have to put in 18-hour days, and I was miserable. My health has improved since purchasing the Silver Bullet. I’m always recommending the Silver Bullet to anyone that could utilize it. It’s changed my life! I now try to only work 8-hour days, so I can have nights and weekends free. It's kind of neat being able to have weekends free again! 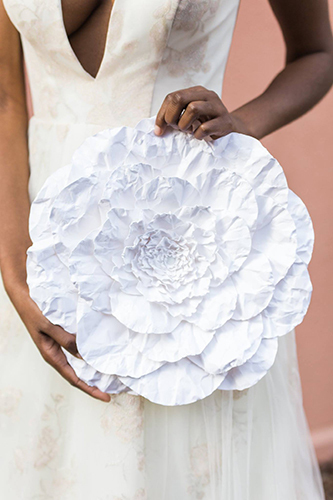 My business consists primarily of paper flowers. I can make my flowers any color or size from 1 1/2 inches up to 22 inches. All of my flowers are fully opened and assembled. Since they are handmade, each one is completely unique, the sizes are close to what is specified. Currently, I don’t make flowers with stems on them. For larger orders, I will have to special order the Artist Paper. I do ship internationally. All rush orders will be shipped via USPS or Fed Ex at customers expense. 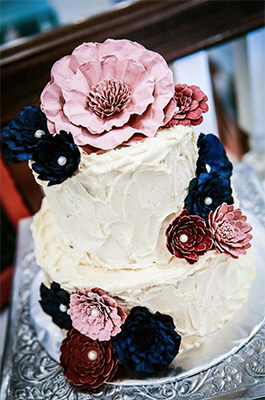 My flowers are not edible but look great on cakes. They will never die, but they DO NOT like water. They are NOT waterproof! 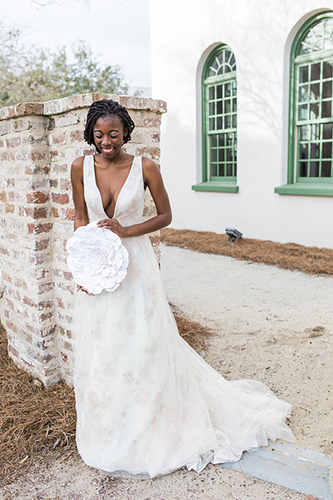 Bride’s Magazine - my green succulents were featured on page 241 in their winter 2013 edition. Bridal Guide Magazine - displayed my orange flowers that were used in a wedding in their January/February 2013 on page 190-191. My flowers have been in 6 different issues of their magazine. 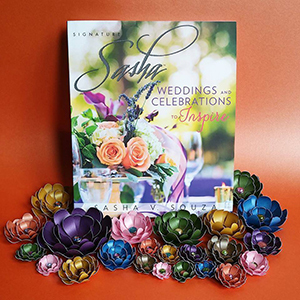 Sasha Souza - I was honored to have my flowers in "Sasha Weddings and Celebrations to Inspire". Traditional Home Magazine - an array of my flowers is featured in their February 2011 issue, page 22. 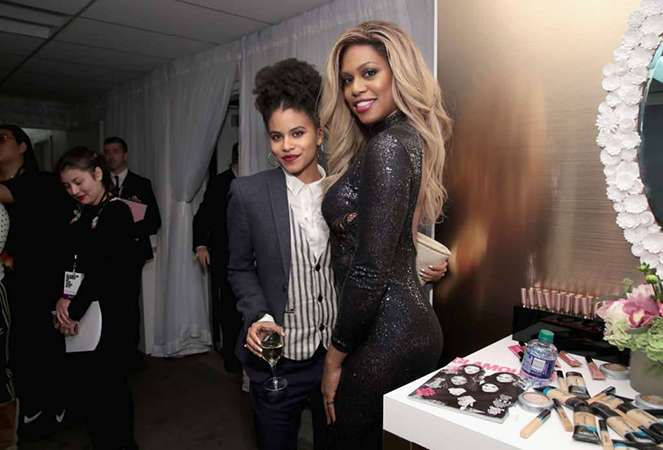 Pictured in the above photo are of Zazie Beetz and Laverne Cox. 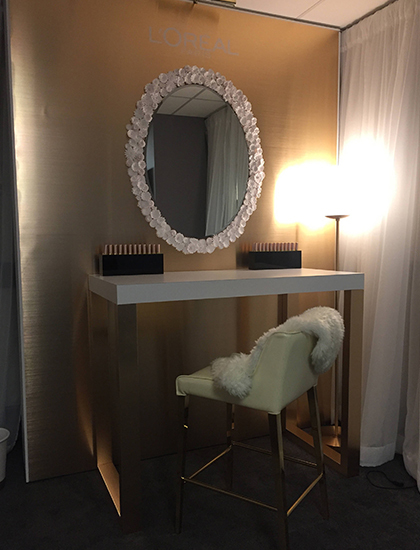 My flowers are beautifully displayed on the mirror at Glamour Magazine’s Women of the Year Awards, 2017. The wonderful team at Overland Entertainment designed the event. 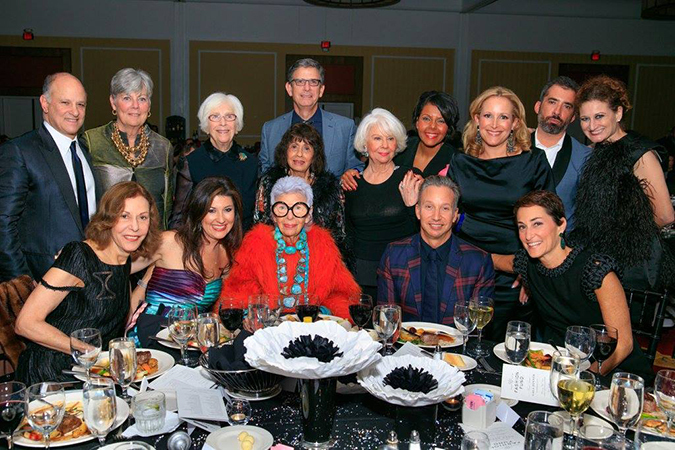 St. Louis Fashion Fund Gala, pictured above, Iris Apfel. 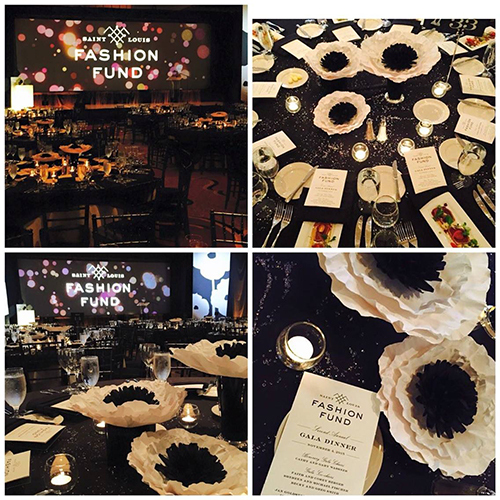 St. Louis Fashion Fund Gala. 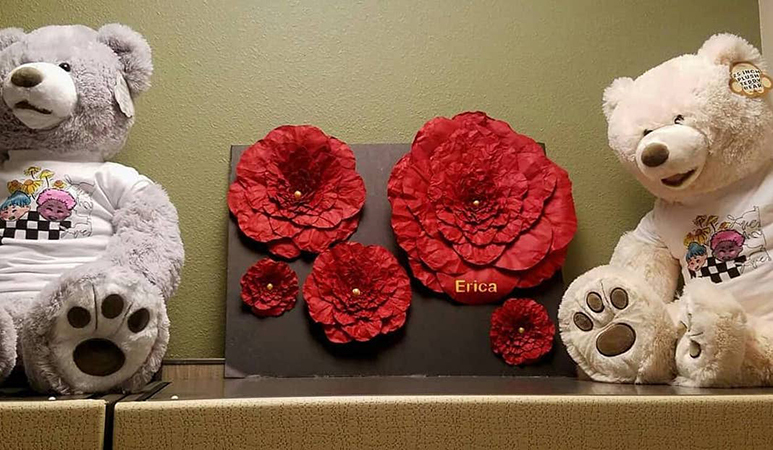 About a year ago I started making flowers for Childhelp offices. This has been the most REWARDING thing that I have done with my business! I honestly can't imagine what the children have been through, and just want to make them smile! The staff at Childhelp are WONDERFUL!!!!!!! What they do changes lives and gives the kids a POSITIVE outlook on life! Some of the people that I'm closest to were abused as children, and it breaks my heart to hear their stories. In a way, I'm doing this for the small child in them, and in a way, it's therapy for them. Please be kind to one another! The National Abuse Hotline is 1-800-4-A-Child.